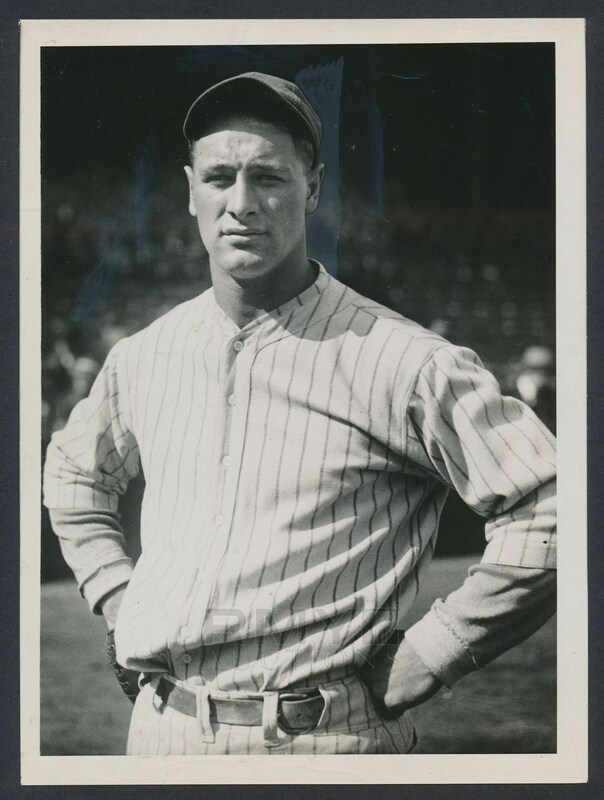 Lot # 29: 1926 Lou Gehrig, "Majestic New York Yankees Superstar" Photo in Uniform, His Best Ever Taken! 1926 Breathtaking photograph of a young Lou Gehrig in full uniform for the New York Yankees. Quite possibly the best photo of him ever taken, this is a silver gelatin photograph that was issued by Wide World Photos and carries a very faint stamp on the back along with remnants of the original paper caption and some secondary file marks. 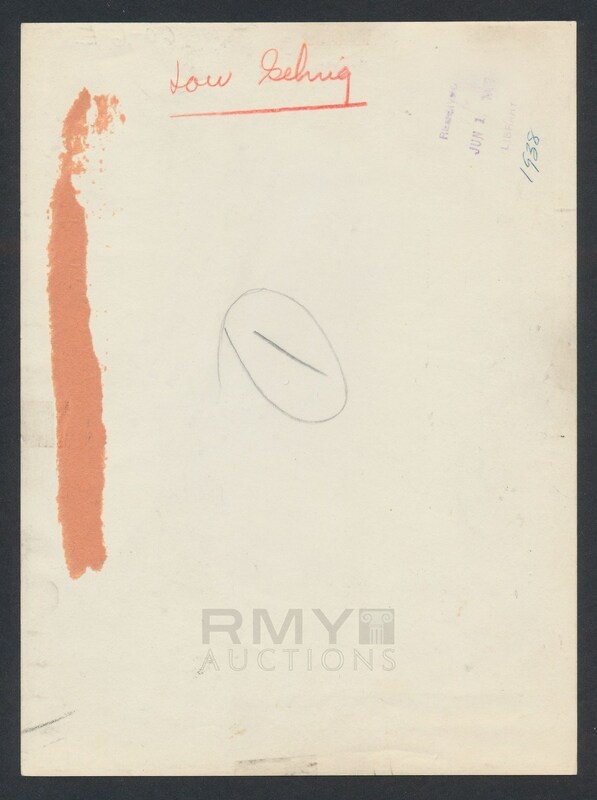 Photo is in almost perfect condition with one tiny crease and some remnants of artistic paint from the newspaper on the front. Reverse stamp dates to the early 1930's so this fits within the five year window we give for a "vintage 1" and it presents perfectly clear off the original negative. A photo worthy of the Hall of Fame!